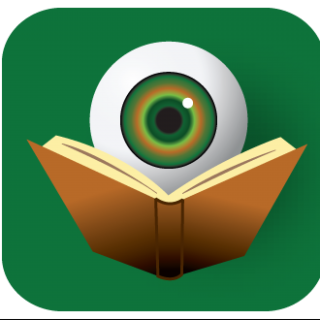 Readers of series crime fiction know that typically the linkage between books resides with the characters, so when an author tries something different, it does tend to get noticed. In her new series debut, Yrsa Sigurdardóttir centers the series around an institution – in this case, the Children’s House of Iceland. The Legacy introduces readers to this real-world facility, which specializes in the care and treatment of abused and traumatized children. The Legacy begins with a particularly horrific murder in which the only living witness is the victim’s seven-year-old daughter, Margret. Since she refuses to speak, Margret is taken to the Children’s House, where their team – led by Freyja – works with the girl in an effort to understand what she knows about the incident that killed her mother. Overseeing their work with this witness is Detective Huldar – a first time lead investigator who also happens to have a history with Freyja. Freyja and Huldar had a one-night-stand and neither of them expected to or necessarily wanted to see each other ever again. Yet, now they are forced to work together. Sigurdardóttir’s plot is further complicated by a group of young men who spend their free time fiddling with ham radio equipment in the hopes of stumbling upon an interesting frequency. When they overhear the odd transmission of an indecipherable string of random numbers, they find themselves intrigued – and eventually in over their heads. As these individuals circle around each other, Yrsa Sigurdardóttir leads readers through a compelling investigation with deep roots in yesteryear. Before the sins of the past can be exposed, three lives will be ended and no one involved will ever be the same. 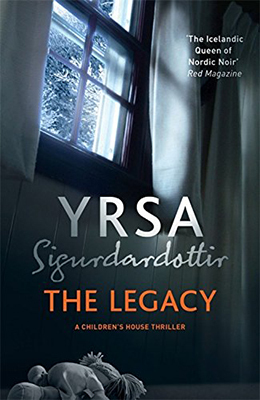 The Legacy is a darker and moodier novel than Sigurdardóttir’s previous series – more in line with her recent creepier stand-alone works. The author certainly knows how to weave setting and plot together in interesting ways. One of Sigurdardóttir’s many strengths is her ability to craft fully realized characters readers want to latch onto. Like Thóra Gudmundsdóttir, her previous series heroine, both Freyja and Huldar are good – but flawed – people who feel as though they could stroll off the page and join readers for a cup of tea and conversation. Watching their interactions will have readers hoping to see more of them and how they might navigate their strange dynamic over time. Fortunately, these characters will continue through the series, but it is the Children’s House that ultimately garners the most interest. This organization designed to protect and serve those that cannot help themselves is more than worthy of future exploration. Yrsa Sigurdardóttir has come up with a unique idea for a series and The Legacy is only the beginning of the journey. The Legacy will leave an enduring impression upon crime fiction connoisseurs world-wide. Disclaimer: A print ARC of this title was provided to BOLO Books by the author. No review was promised and the above is an unbiased review of the novel.